The word "Sonata" has its origins in the Latin and Italian 'sonare' meaning "to sound"; it was used to indicate a piece of music played on instruments. In contrast the word 'cantata' is derived from the Latin and Italian "cantare" meaning "to sing", and hence music with such an indication was sung. The term evolved through the history of music, and came to designate a variety of forms prior to the Classical era. During the Classical (c. 1750 - c.1830) era the term acquired increasing importance, and by the early 19th century it came to represent a principal of composing large scale works. Alongside the fugue it was regarded a fundamental method of organizing, interpreting and analyzing concert music. 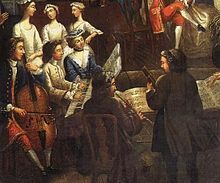 The musical styles of sonatas has changed into the 20th and 21st centuries, however the structure of these works remains similar to those of the past. 2. A solo melody instrument such as a flute, accompanied by a keyboard. 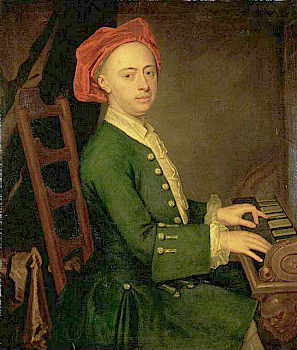 It is interesting to note that in the Baroque era keyboard parts were not written out in entirety, and were known as "basso continuo" - or "continuo" for short. As the Classical era drew nearer a keyboard part fully written out was notated as a "obbligato" keyboard part, this indication fell out of usage by the 19th century. Another similar term "sonatina" is used for pieces that are similar in form to a sonata but are shorter in length, or are technically easier. and the "sonata da camera" (In English : "chamber sonata") proper for use at court. The sonata da camera on the other hand was made up of idealized dance-tunes, such as the Allemande, Courante, Sarabande, Gigue and Minuet. By the time of Handel and Bach these compositions evolved into new forms known by different names around Europe, like the 'suite', 'partita' and 'ordre'. More history of the sonata at page 2!